How can I pay a ticket? Make sure to include your location code and violation number on all payments for proper credit. Contact the Central Violations Bureau by calling 800-827-2982. Press option 4 to hear an automated recording with the status of your ticket. I want to contest my ticket in court, but I don't have a court date written on my ticket. You will receive a Notice to Appear, via U.S. mail from the Central Violations Bureau, usually within 4 to 8 weeks from issuance of the ticket. I received a violation notice, it is marked "Appearance Required". Do I have to appear in court? 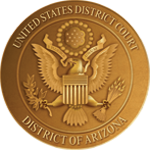 If you fail to pay the amount due or to appear in court on the date and time scheduled, the United States District Court may issue a summons ordering you to appear or issue a warrant for your arrest. If you are charged with a motor-vehicle violation, the court may also report your failure to pay or appear to your state's motor vehicle or driver licensing agency, which may affect your driving privileges or your vehicle registration, or both. I received a notice to appear, but I mailed my payment three weeks ago, did you receive my payment? Contact the Central Violations Bureau by calling 800-827-2982. Use option 4 to hear an automated recording with the status of your ticket. All payments must be received on or before the scheduled court date. What if I pay my ticket the day of court online? The court will be notified of your payment and you will not have to appear in court. You must appear at the date and time scheduled. A plea of not guilty will be entered and a Bench Trial will be set. If you are found guilty of the violation after a trial, the court may impose any penalty the law authorizes. In addition, the court may add a special assessment of $5, $10, or $25 for each offense. I received a Violation Notice, it is marked mandatory. Do I have to appear in court? How can I pay a Violation Notice? The location code and violation number must be included on all payments to ensure proper credit. How can I check the status of a Violation Notice? Contact the Central Violations Bureau by calling 800-827-2982. Press option 4 to hear an automated recording with the status of your Violation Notice. I want to contest my Violation Notice in court, but I don't have a court date written on my Violation Notice. You will receive a Notice to Appear, via U.S. mail from the Central Violations Bureau, usually within 4 to 6 weeks from issuance of the Violation Notice. Contact the Central Violations Bureau by calling 800-827-2982. Use option 4 to hear an automated recording with the status of your Violation Notice. What if I pay my Violation Notice the day of court online? I received a Violation Notice, but I have moved. How can I change my address? What happens if I don't pay the Violation Notice or appear in court?